If you are looking for an herbal cure for fibroids, there are quite a few herbs that are generally recommended for the natural treatment of fibroids including saw palmetto. While the most commonly known use for this herb is for treating any issues with the prostate gland, it also used for many other health issues including fibroids. This is a small palm tree native to certain areas of the North America and the West Indies and it’s the fruits (berries) of this tree that are used for natural healing. It is from the family known as Palmae which includes various other palms as well. It is also known as American dwarf palm as well as sabal. 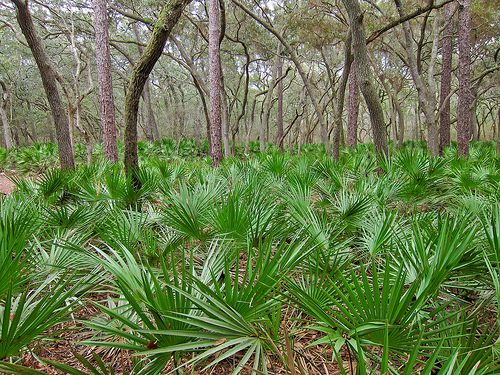 The healing properties of saw palmetto (serenoa reopens) were discovered by Native Americans who noted this herb’s diuretic properties (water retention prevention) and started using it for various urinary tract issues. 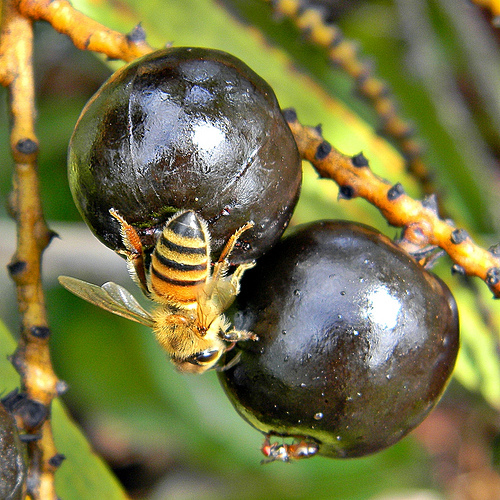 White settlers then adopted this herb and started using it to treat bronchitis and coughs. It is also one of the herbs that is generally recommended for enlarging breasts naturally although research does not support its effectiveness for this purpose. Saw palmetto is also recommended to treat male pattern baldness, as an aphrodisiac however, medical research only supports its use for treating benign prostatic hypertrophy (BPH) due to the fatty acids that are contained in this herb and this plant is widely accepted as a natural treatment for this condition as it can help to reduce the size of the prostate gland and as well as treating related symptoms. While there isn’t any medical support for using saw palmetto as an herbal cure for fibroids as is common with many herbal remedies or other alternative treatment methods, this herb is still commonly recommended for the natural treatment of various women’s health issues including uterine fibroids. As an herbal cure for fibroids, it is recommended that you take about 100 to 200 mg of the standardized extract of this herb after each meal. This herb is generally safe although if you do develop an allergic reaction, reduce or stop using this herb. Other side effects that may develop in some people are mild and include a headache or upset stomach if you take a very large amount on an empty stomach. If you do develop these symptoms, consider taking saw palmetto with a meal. If you are on other medications, talk to your doctor before using this herb as it may interact with certain medications. These are just a few tips on using saw palmetto as an herbal cure for fibroids. For step by step guidance on herbs to use and how to use them as well as a customized regimen on treating your fibroids naturally using various natural methods, you need the Fibroids Miracle guide. Find out more about this bestselling holistic guide here. Next Must Watch Video On Holistic Treatment For Fibroids That Your Doctor Isn’t Telling You About!